DOHA, Qatar – Qatar Airways received its 50th Boeing 777 recently, taking the total count of aircraft in operation to more than 180 single aisle and widebody aircraft. 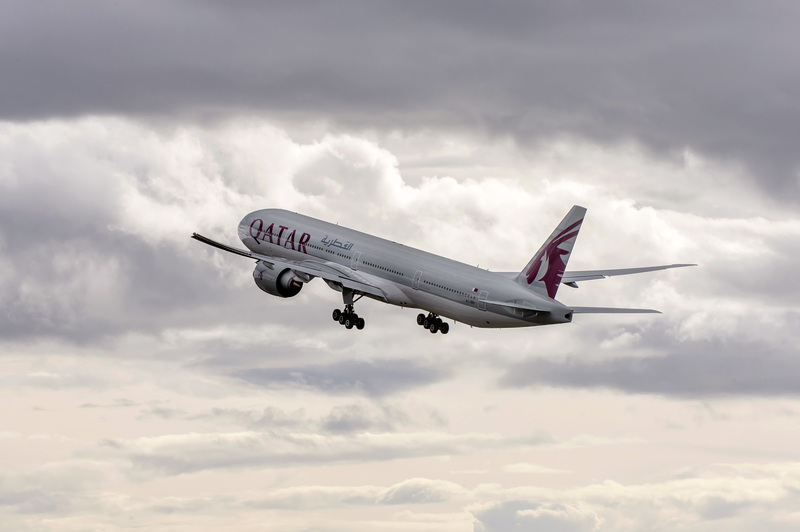 The global carrier operates the Boeing 777 to a host of destinations – including Houston, Buenos Aires and Los Angeles, which are a few of Qatar Airways’ longest destinations as measured by flight hours. Qatar Airways Group Chief Executive, His Excellency Mr. Akbar Al Baker said: “We place passenger comfort and the flying experience at the forefront of our aircraft programme, and with the introduction of the Boeing 777 into the fleet just under a decade ago, our crew and passengers have come to know how comfortable and spacious the cabins are. More than 35 per cent of the airline’s route network is operated with a Boeing 777 (includes both passenger and freighter destinations). 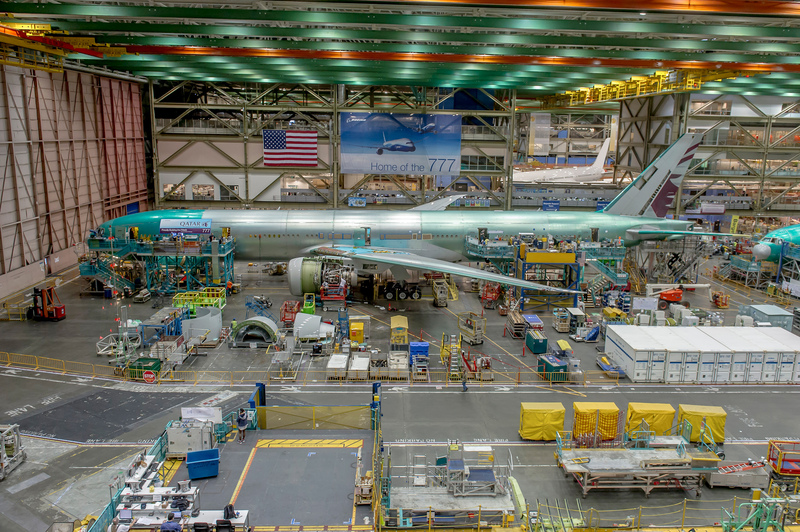 When Qatar Airways’ first Boeing 777 order was made in 2006, the airline’s network reached just over 50 destinations. Now a decade later, with more than 150 destinations, the Boeing 777 has formed a core part of the fleet, and has been the backbone of the long haul and the ultra-long haul route expansion strategy. With a dual-class configuration (Economy and Business Class) featuring spacious cabin interiors, passengers have highly positive experiences with the Boeing 777, with the airline winning several accolades over the years for onboard product and cabin interiors. Qatar Airways is one of the world’s largest operators of the Boeing 777, with the airline mostly deploying it on long and ultra-long haul routes. 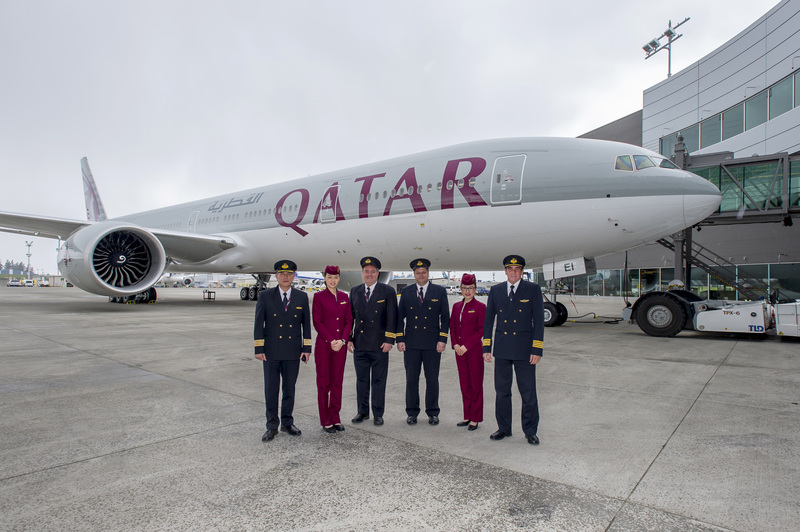 Qatar Airways recently announced it will serve Auckland, New Zealand, from the airline’s hub in Doha, making it the longest commercial route in the world at 18 hours and 20 minutes from the airline’s hub in Doha, utilising the Boeing 777. The configuration of the passenger versions of the Boeing 777s vary from 335 total seats on the Boeing 777-ER (Extended Range) comprised of 42 seats in Business Class and 293 in Economy Class, to 259 seats on the Boeing 777-LR (Long Range) across a two-class configuration of 42 in Business Class and 217 in Economy Class. In addition to passenger capacity, the total cargo capacity for the Boeing 777 Freighters carry 102 metric tonnes. Cargo is an essential part of the Qatar Airways growth strategy, and Qatar Airways Cargo is currently positioned as the third largest cargo carrier in the world. The Boeing 777 Freighters have been a core part of the fleet growth in product movement and distribution across the airline’s extensive cargo network.